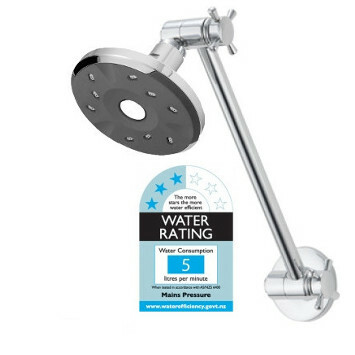 The Methven Kiri Satinjet Low Flow Showerhead (using <5L/min) is the highest water efficiency showerhead in Australia!! 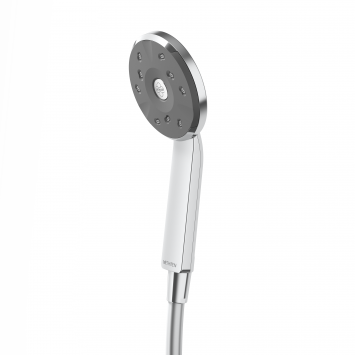 Enjoy more shower use less water with this water saving shower head which uses Satinjet technology. 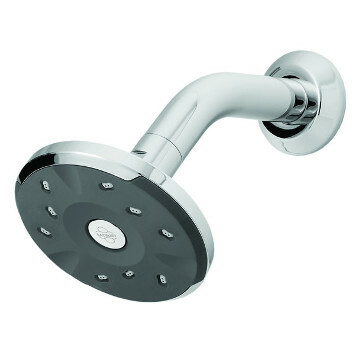 Experience the lowest flow showerhead on the Australian market. 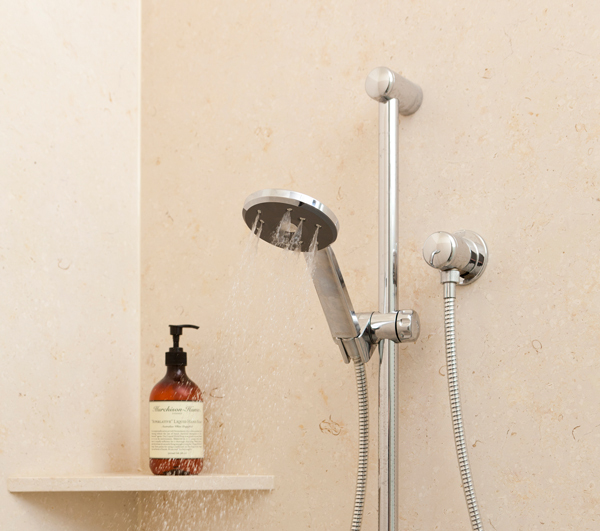 Although it is officially stated as using 5.0 litres of water per minute, it's actual flow rate is 4.5 litres per minute and can be integrated with different shower arms including a stylish modern arm, handset with hose, standalone rose or with a dual pivot arm. The Kiri Satinjet saves so much energy it pays for itself in as little as 3 months. Using less energy and water means that that you're helping the environment. Less water use means less dams and less destruction of fish and bird habitat. Less energy equals less resource demands and less climate change. 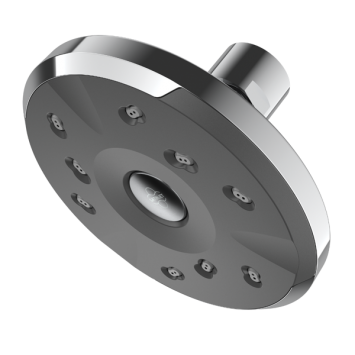 Satinjet technology is based on the Venturi effect, where air is sucked in to the showerhead through special breather holes to create large droplets of an air/water mixture with maximum surface area for minimum volume. The Satinjet head produces 150,000 of these droplets per minute. Two jets collide to create a cloud of small droplets which imparts maximum warmth to your skin for minimum water use. Combine the Methven showerhead with a Sanden CO2 hot water heat pump for maximum savings and another step on your journey to Pure Electric freedom. The Methven Kiri Satinjet Ultra Low flow is a premium product that makes each shower you take a better experience for you and the planet.